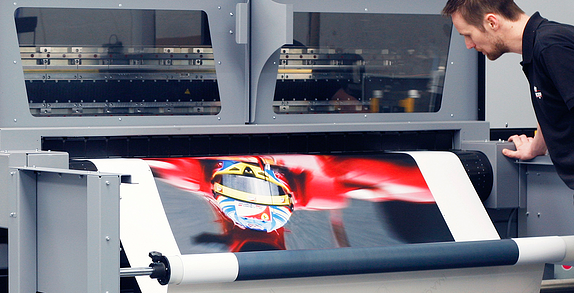 Data Image Group, based in Leicester, is an industry-leading manufacturer of printed material from canvas prints and exhibition stands to POS advertising media and FSDUs. 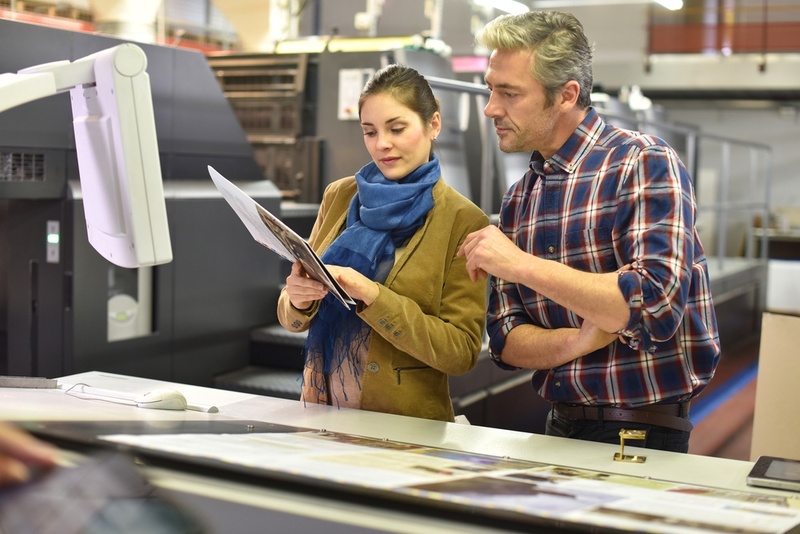 The business has established a reputation for technological innovation, embracing the latest digitalised processes to keep ahead of a competitive industry. Operations Manager Mark Poyser and Workflow Developer Jordan Jones visited the Qualsys HQ in Sheffield to discuss what they'd achieved with two of Qualsys's GRC software modules - and what they plan to do with the next two. Qualsys: Tell us about Data Image. What does quality mean to you? 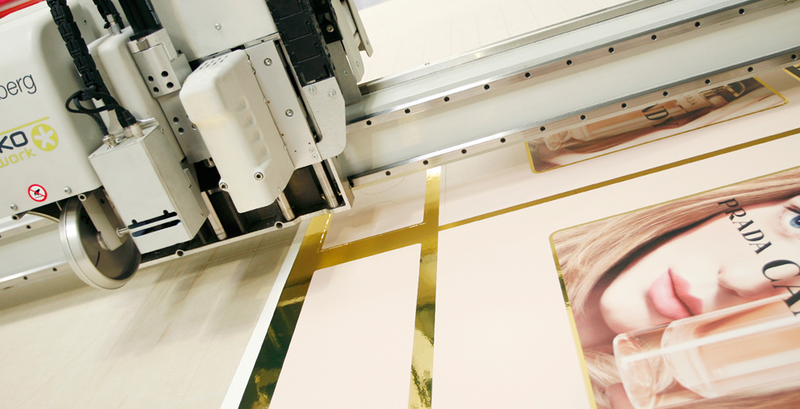 Mark: We specialise in large format digital print. That means we work to an ISO colour standard  as well as FOGRA32. Quality is hugely important to us. We're only as good as our last job. If we print poorly, our reputation suffers and our customer isn't satisfied. Our biggest business quality challenge currently is speed of turnaround. Printing is such a fast-paced industry. We have many, many orders coming in daily and a lot of them require completion within a day. It's a very competitive business with a number of other companies looking to try and replace us. It's a case of: if you can't print it, somebody else will. 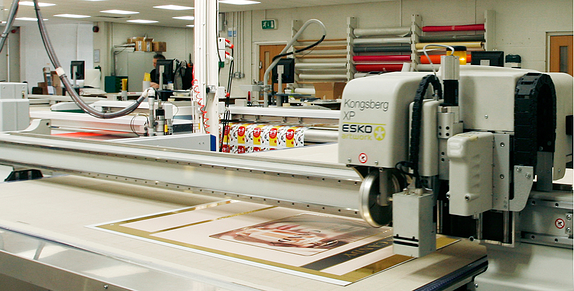 Our customers are always looking for fast turnaround and if we can't provide a quality service they will go elsewhere. We have to be flexible and offer that quality service. Qualsys: What led you to source an electronic quality management system? Mark: It was born out of the fact that, as a business, we wanted to attain ISO 9001 certification. 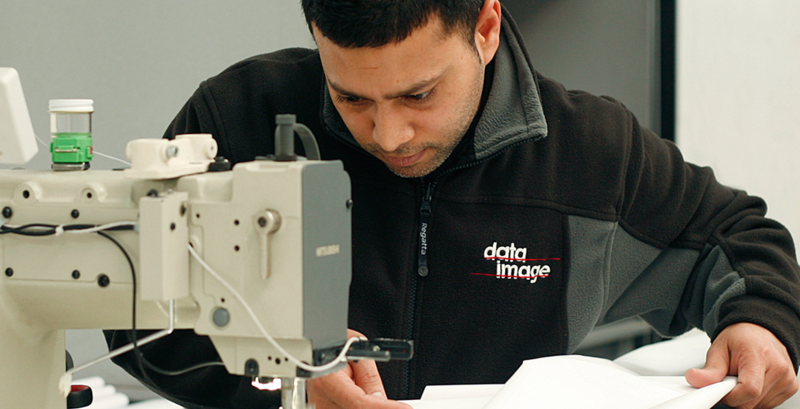 Data Image is a very technology-driven business - everything is done in a digitised format wherever possible. We don't like paper trails. The natural progression for us if we were going to go for ISO 9001 was to follow the company mantra and do it in a digital way. We didn't want to work with reams and reams of paper and boxes. We wanted to log into a system and access everything electronically. At that point, we relied on verbal communication and face-to-face training. There were no documented systems from a procedural or policy point of view - which ISO 9001 demands you demonstrate in writing. So we needed a digital documentation capability. The natural progression for us if we were going to go for ISO 9001 was to follow the company mantra and do it in a digital way. We wanted to log into a system and access everything electronically. Qualsys: How did you find the vendor sourcing process? Was it a drawn-out process or did you settle on Qualsys quite quickly? Mark: It was very simple for us because there aren't a lot of businesses out there that do a product like yours, that's a 'one stop shop' with everything in one piece of software. We did look at other providers in the same field as Qualsys, but your product came out as the most simple to use. Qualsys: Did you ever have any reservations about choosing us? Mark: No, we gained a very good relationship with Michael [Ord, New Business & Marketing Director] quite quickly. He came to introduce the product to us and presented it in a very simple and clear format. GRC can be a very complicated subject but he put it across to us in a simplified manner that made it easy for us to understand and get to grips with. So it was a quick web search, some reading and research online, then we had our shortlist of vendors to come in. I helped the business with the final decision, which was obviously Qualsys. There aren't a lot of businesses out there that do a product like Qualsys, that's a 'one stop shop' with everything in one piece of software. 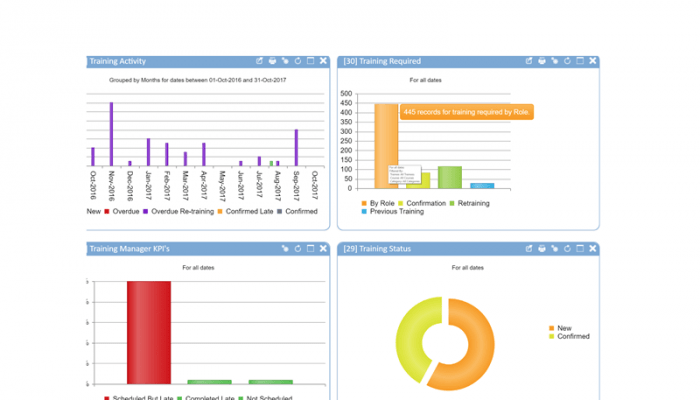 Qualsys: And you chose Document Manager, Issue Manager, Training Manager and Audit Manager. Mark: That's right. Document Manager was the one we kicked off with. We've since rolled out Issue Manager to the whole of the business. We use it to track and resolve internal IT issues, machine breakdowns, bugs in the other software systems that we use, vehicle issues from servicing to engine management. We're going to get staff to start raising internal non-conformances, health and safety issues and 'near misses'. We're currently looking at getting Training Manager in place - we're going through a large training programme at the moment, and while we're not using the module at the beginning of that, once we've got our programme in place we'll be starting to record all our training information in Training Manager and using it to guide our refresher courses further down the line. Qualsys: What about your plans for Audit Manager? Mark: Again, our aim is to digitise everything. We've got numerous paper forms drifting around from various audits and checks which we want to get off the shop floor and into EQMS. Then we can perform audits on a mobile device and upload and sync the findings straight into the system. Qualsys: It sounds like you plan to integrate your entire business into the modules. Mark: Yes, I want to pull various things dotted across the business and done in various ways into one single system and a 'one stop shop'. I want EQMS to be pivotal in managing the business behind our customer orders. To quote Ash [Richardson, Mobile Solutions Architect] from our session this morning, it's about 'making people compliant without even realising it'. That way, you get more buy-in from staff rather than forcing them to use a cumbersome or slow system they don't want to use. EQMS will be the key to success for us in that way. Qualsys: Jordan - here's a question for you, coming more from the IT management side of Data Image. 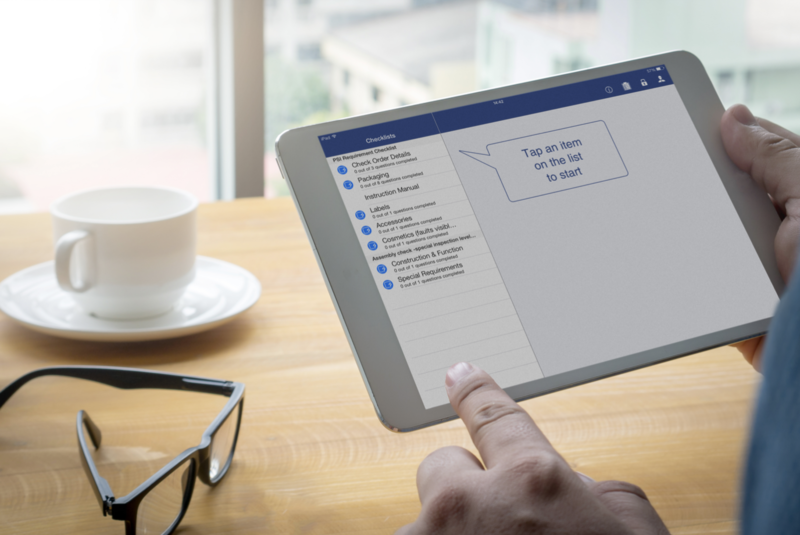 Could you tell us a little bit about how the EQMS modules slot into the business in terms of the other software systems that you use, and end user engagement? Jordan: I've had some really good feedback from our end users. I started to use the system myself to log issues raised to me verbally, and now I encourage my colleagues to do the same. They've found the modules quite intuitive. Once I've shown one person how to use it, they show somebody else, or people figure it out for themselves. It's made my life a lot easier. It's given me a good overview of what I need to be doing day-to-day. In the past, a lot of that was memory. It just didn't work. Memory isn't perfect, especially mine. The feedback surprised me actually. As Mark said, you can sometimes come up against resistance to change, but I think because people can see results from the system and see that it works, it makes them more likely to use it and encourage others to use it. It's about making people compliant without them even realising it. 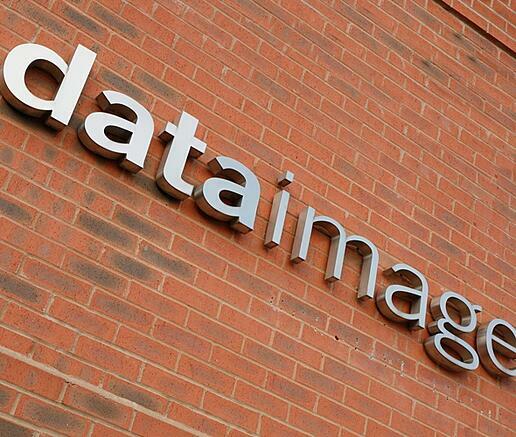 Mark: We've now got 56 employees at Data Image, and everyone has a user log-in. That's why we can capture such a broad set of issue types - some people won't log any of a particular issue type at all because it isn't their area, but their colleagues will, and vice versa. That's where the flexibility of Qualsys's system comes in - why give everybody every single choice possible, when it isn't necessarily applicable to them and would just waste their time? Jordan: There is a point with that, actually, which is what we're just setting up with Issue Manager. We've added in a development suggestion option which has been received quite well. Our staff now have a place they can voice their opinion and know they're being listened to. I'm surprised how much people are actually using that. It's nice to see. Rather than just complaints, our staff can suggest positive change and good ideas. Mark: The word 'issue' is usually classed as a negative thing, but that isn't true for us. There is the opportunity for our staff to raise 'true' issues, but also raise developments or suggestions using the same system. Senior management then have visibility of that and we can discuss at a monthly meeting or a consultation group and start to put some of the ideas in place. Qualsys: That's very interesting. So you actually plan to mine employee feedback and drive continuous improvement that way. It's always interesting to see what our various customers use our modules for. Mark: That's the great thing about the EQMS product. You don't have to use any of the modules out of the box. The only restriction, I think, with EQMS is your imagination. You can pretty much get it to do what you want it to do and use it for anything, even if it isn't what it was necessarily designed to do. All the time that you're using it, because it is so audit-heavy and everything in the system is tracked, you're using it in a compliant way, because everything you've ever done has a full audit trail. Jordan: That doesn't feel like a barrier though, does it? Somebody can say 'you need to fill out a form', 'you need to do this', and you sigh. It's this big list of things that needs doing. Because the software makes it simple, it doesn't feel like a restriction or something slowing you down. It's just part of day-to-day work and it doesn't feel like an interference. Mark: It's not been a struggle, it's just been a change. There are things with the system now that our staff didn't have to do before. Previously they'd stop someone on the shop floor and verbally explain an issue, now it has to be logged into the system for resolution. It's brought a cultural change. Jordan: But as I said before, that isn't a problem. Because people can see it's working, it helps. If there was no change, they'd get agitated, but because they can see things happening, they're a lot happier to use it. The only restriction, I think, with EQMS is your imagination. You can pretty much get it to do what you want it to do and use it for anything, even if it isn't what it was necessarily designed to do. It's brought a cultural change. Qualsys: One of the things that prospective customers look for when they approach us is a system that pays for itself. Do you think our modules have made you more profitable? Mark: Yes. Definitely. Especially with our documentation, as we get all that in one place, people can find things much more quickly and efficiently. As we raise issues on Issue Manager, we can see they're being addressed much more quickly. There's no waiting to see someone or trying to catch them on the phone. Those business efficiencies make a difference. Qualsys: What's the plan for Data Image for the next year or so? Mark: The business is going through a very accelerated growth plan over the next twelve months. We plan to increase our turnover. I'm sure your solution will benefit us with that, especially as we perform value stream mapping and the action plan we've got ready. The system will accelerate our business, and it'll be brought along with us as we grow. Senior management, for example, will be using the system to get visibility into things like machinery efficiency. There'll be really useful uptime and downtime data we'll be able to look at, which will inform things like swapping and improving our physical assets. At the last user group I came to, I saw some demonstrations of your supplier portal features. That's definitely something we can use as well, so we can push issues up our supply chain and to our support network if it's something we can't fix ourselves. That's definitely something for the future. There's lots of progress we're going to be making, and there'll be more and more use of Qualsys's software as we go. See how our software solution helps manufacturing businesses embed quality into the factory floor and beyond here. Read about how 'Industry 4.0' is creating the 'smart factory' in our blog post here. Got similar growth plans? Discover how our modules can accelerate your business expansion with a 15-minute chat with the Qualsys team.